Let them choose what they want. It's easier! 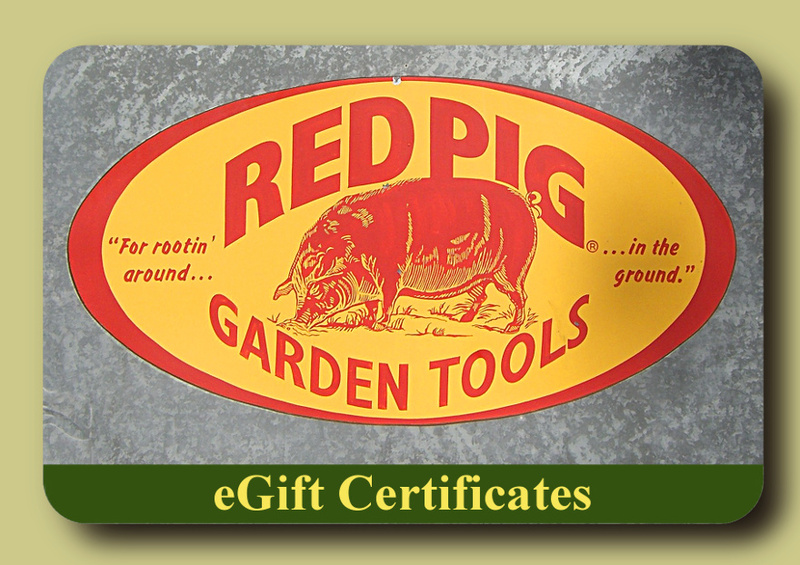 Red Pig Tools eGift Certficates are the perfect gift for even the most discriminating gardening enthusiast. Our eGift Certificates are delivered electronically and can be used either here on RedPigTools.com or in our store when accompanied by the proper eGift recipient's account information.